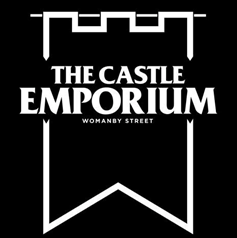 The Castle Emporium, a vibrant hub of independent boutique stores and pop-up stalls on Womanby Street, Cardiff, will host its first ever Summer Nights event on Thursday June 18, between 6 and 10pm. The evening promises to be a very special shopping, entertainment, fine food and drinks experience at one of Cardiff’s most unique city centre locations. Formerly known as Cardiff’s Fashion Quarter and recently relaunched, the space, which sits just opposite Cardiff Castle, is home to an eclectic array of new and established traders. From jewellery, books and clothing to vintage goods, vinyl and sci-fi collectables, something for all tastes and gift ideas awaits within The Castle Emporium. Summer Nights will feature DJ’s and live music acts to welcome new and existing customers outside of the Emporium’s usual opening hours. Set to become one of a select number of special evenings across the summer, the first event also marks the launch of the newest resident, Camilleri Photography Studio as well as the Emporium’s themed temperance/intemperance bar, serving blood tonics, sarsaparillas, cordials and more. Renowned vegan store Simply V will be offering a selection of cakes and snacks from its shop space at the Emporium, as well as canapés being served all night. for Doctor Who, collectables, autographs and custom pieces. Those attending can take part in make-your-own-t-shirt workshops, free photo shoots and raffles. Shoppers can take home an exclusive goody bag, have the chance to explore Daisy’s dressing up box, visit an exclusive art exhibition and much more.